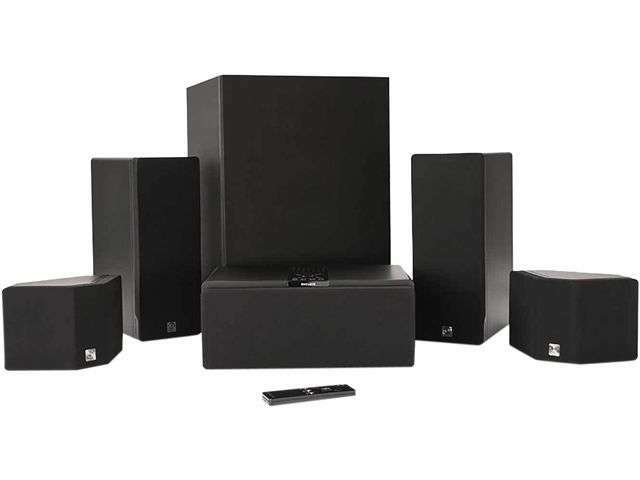 My first home theater system was called a Home Theater In A Box, which included a cheap receiver and 5 cheap speakers - two front, two surround and a center channel speaker with no subwoofer. WiSA uses radio frequencies between 5.2 giaghertz and 5.8 GHz. The channels were formerly used by weather and military applications, but they've been repurposed for consumer devices. The true magic of the system lies in the wireless network the speakers form when powered on - you don't an existing Wi-Fi network. I thought the CineHome HD system sounded very good - certainly better than any TV's built-in speakers and better than most inexpensive "home theater in a box" systems I've used or heard. Enclave designed the CineHome HD system to sound good with a minimum of setup or adjustment needed and they've succeeded. In researching WiSA home theater systems, it seems there are three manufacturers making wireless systems right now - Enclave, Klipsch, and Bang & Olufsen. (And while they don't make you run audio wires all over the place you do still have to figure how to get power to them all...which basically negates the wire issue for any speakers you have in the middle of the room. If you have to run power there then running additional audio wires makes no difference). So what's the story, here? Please do not turn into a site that advertises inside of their articles! I like your site, please do not ruin it with this advertisement garbage!